Great opportunity, Beautifully maintained 3BR three level split. Formal living room and dining room w vaulted ceilings. Bright and sunny eat in kitchen. Hardwood floors thru-out. Lower level family room w bath and walk-out to patio overlooking level landscaped yard. Walk to the park and swim club. Sought-after SPRINGLAKE community. 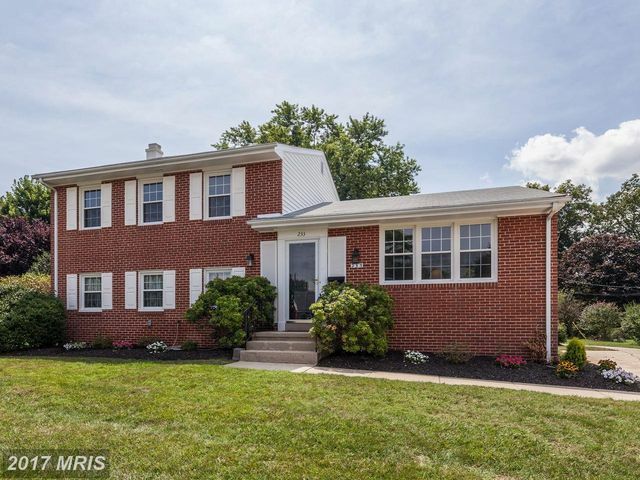 233 Chantrey Rd, Lutherville Timonium, MD 21093 is a 2.5 bathroom, 2,090 sqft single-family home built in 1961. This property is not currently available for sale. 233 Chantrey Rd was last sold on Oct 17, 2017 for $315,000 (6% lower than the asking price of $335,000). The current Trulia Estimate for 233 Chantrey Rd is $390,541.